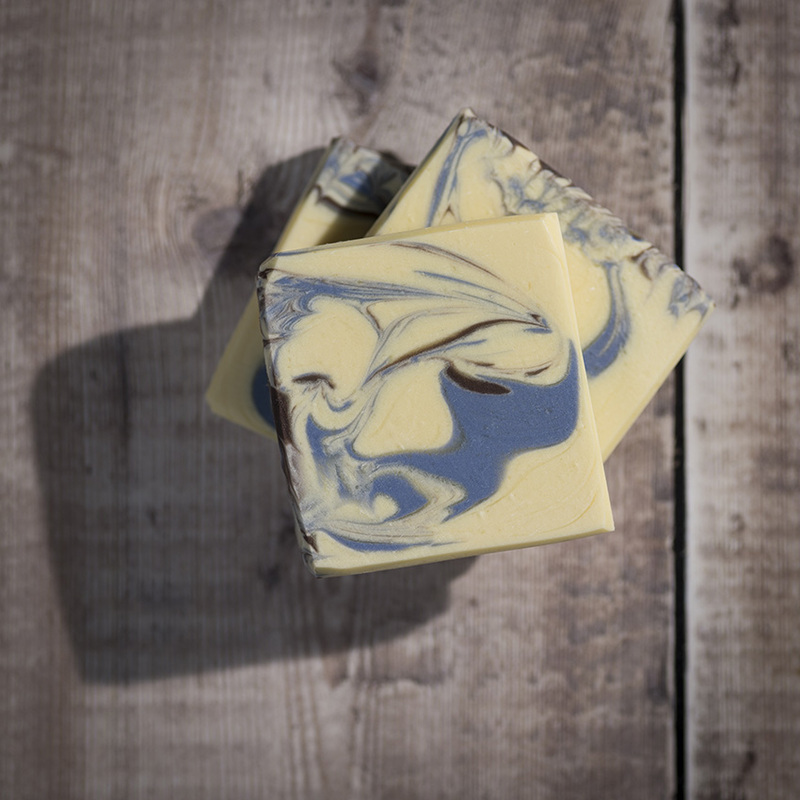 Fragranced with bluebell, this soap is a simple celebration of the arrival of Spring when the bluebells have filled the woodlands. 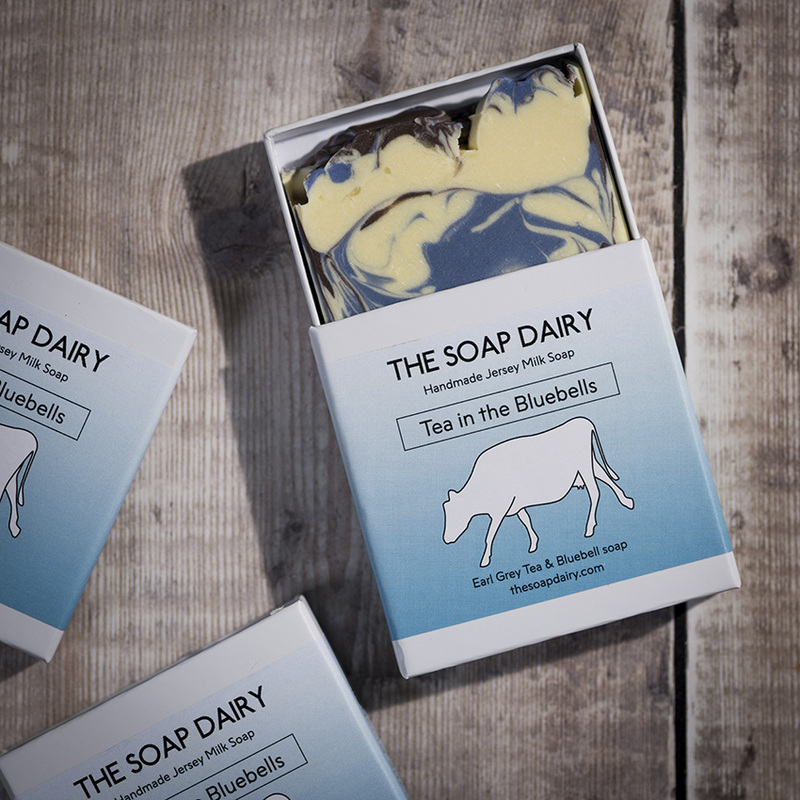 Tea in the Bluebells is made with Earl Grey tea, Mr. Hugh’s rapeseed oil, rice bran oil, coconut oil and our own fresh, unpasteurised Jersey milk and bluebell fragrance oil. 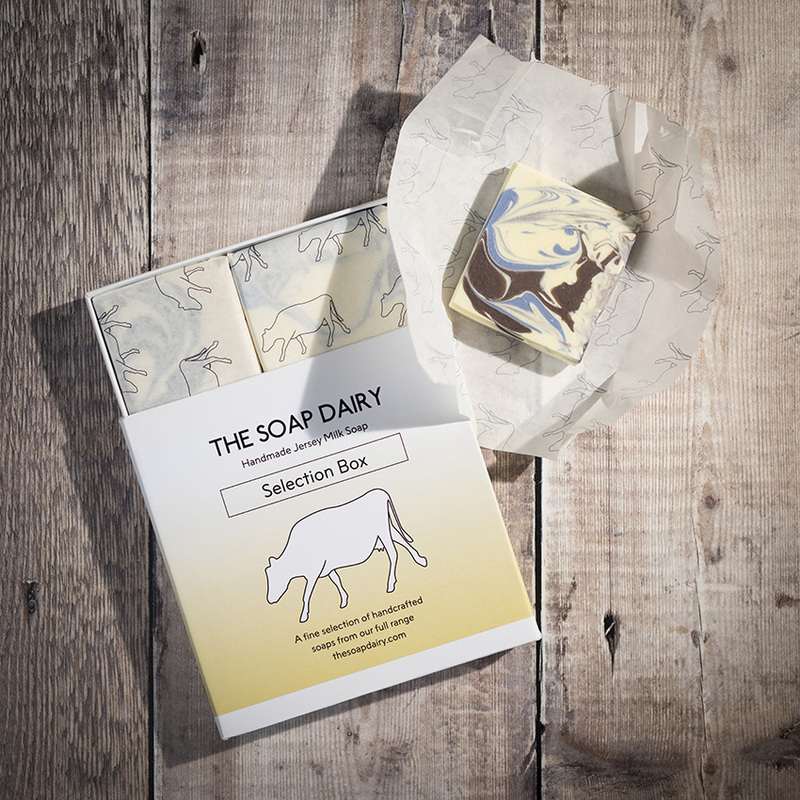 You can buy this soap in a beautiful box or simple greaseproof paper. The boxed soaps are min. weight 60g and in the greaseproof paper, they are between min. weight 50g. No palm oil. Tested on farmers. We use Mr. Hugh’s cold pressed rapeseed oil and rice bran oil for skin conditioning and we use coconut oil for cleansing. Aqua is obviously water and Lac is our Jersey cow’s milk. 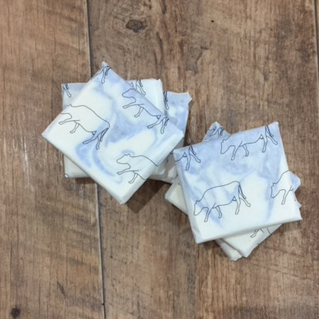 We use sodium lactate (a salt) to make a harder bar of soap so that it will last longer for you. 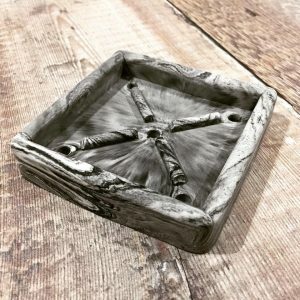 Some of the soaps contain organic activated charcoal made from coconut shells. This is a natural exfoliant and great cleanser. Parfum refers to essential oil and fragrance oil and the chemicals listed are all potential allergens contained in these. The CI codes are colours. I use mica colours, which are finely ground coloured minerals. 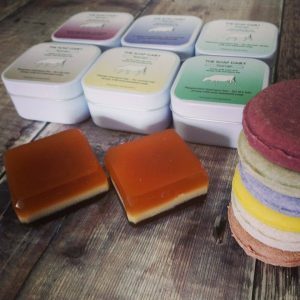 Although most of the soaps only contain one colour, the colours I use are often a mix of a few different pigments, hence the list!